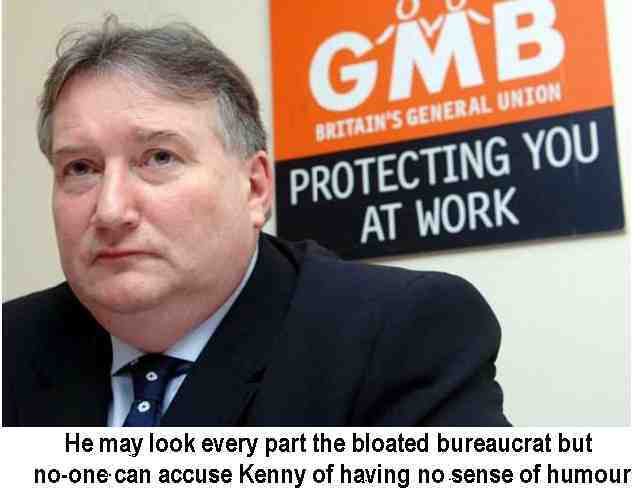 Tony Greenstein's Blog: Paul Kenny - the GMB and Workfare - Why Have You Signed Up to a Report with an American anti-Union Workfare Company? 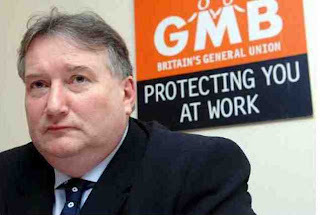 Paul Kenny - the GMB and Workfare - Why Have You Signed Up to a Report with an American anti-Union Workfare Company? 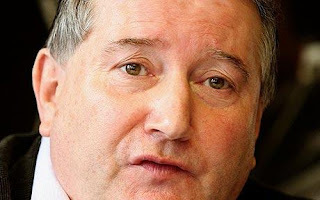 Paul Kenny is the General Secretary of the GMB, a union which has traditionally been on the right-wing of the trade union movement. A largely manual union, it has only succeeded in retaining about 700,000 members through a series of mergers with small unions like the old Boilermakers Union. It has a series of regional officers who are not unlike the old barons of the T&GWU and its membership has little control over the Executive or unelected officers. Historically however it was what one could call moderate right, in comparison with the far-right Electricians Union and the AUEW Engineering Union under Terry Duffy. Under Paul Kenny however that has changed. 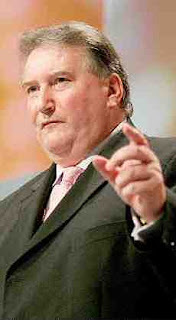 Kenny was put in position after losing an election, which was held to be rigged, to Kevin Curran. Kenny has twice been elected unopposed, latterly this year. Kenny has now, in a glossy pamphlet produced with American Privatisation Company Kennedy Scott, accountancy firm PKF and Portsmouth University and 4 academics (including 2 criminologists – because being unemployed is now a crime) called for further privatisation of the job centres, more private involvement in cheap labour ‘welfare reform’ companies and given open support to workfare. We call on the members of the GMB to sack its scab General Secretary Paul Kenny and all those on its Executive who played any part in the production of this Report. It is difficult to think of a comparable act of treachery by a trade union leader. One would have to go back to Jimmy Thomas of the NUR in the General Strike to provide a comparison. A trade union leader who is actively complicit in attempts to demolish the welfare state and who encourages further privatisation of public services has clearly spent too long with New Labour ‘thinkers’ such as John Hutton, James Purnell and Frank Field. He has clearly forgotten, if in fact he ever remembered, that it was the bankers, the spivs and speculators – who have indeed received generous state support – who caused the present crisis. And it is the unemployed and disabled who are being made to pay the price for the follies of the rich. What we don’t expect is for trade union leaders to be complicit in an attack on the very notion of public service and to hold out the USA as some kind of model – a country where it is quite possible to be unemployed and starve, where 40 million have no medical cover, where the idea of the free market runs holds sway and where at the same time as massive personal wealth there is a huge amount of poverty. This is Kenny’s ideal. Below is an open letter to Paul Kenny from Brighton Unemployed Centre followed by quotes from the Report that the GMB sponsored and a letter from a shop steward in the GMB in Brighton about the Report. Two nights ago I attended a meeting to launch the Public & Civil Service Union’s new pamphlet ‘‘Welfare – An Alternative Vision’. Mark Serwortka, PCS General Secretary made mention of the fact that there was a trade union in Britain which had come out in favour of more privatisation of job centres in Britain and had even co-authored a pamphlet with one such pirate, the US Workfare company Kennedy Scott. It emerged that the union was the GMB. Workfare is working for your dole, which is at the heart of the ‘Welfare Reform’ agenda. It originated in the Wisconsin W-2 program in 1997. As I am sure you will be aware, Wisconsin also ended recognition of public sector trade unions this year. I will leave it to you to work out the relationship between the two. 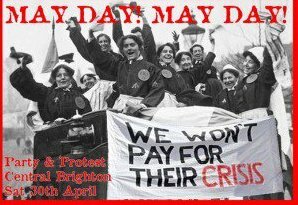 In 2001 GMB workers in Brighton occupied the waste depot in Hollingdean, Brighton. At that time the depot was run by the private company SITA. As a result of that occupation the service was taken back in-house by the Council. 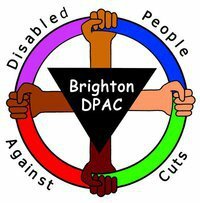 Brighton Unemployed Centre, as your national officer Gary Smith will confirm, gave total support to that occupation including loaning computer equipment and having activists stop scab vehicles from leaving a nearby depot and thus undermine the occupation. Perhaps you might like to explain why privatisation is wrong for the Waste Transfer & Disposal service but fine when it comes to running job centres? I won’t ask if you have officially become a signed up supporter of the Big Society but your support for ‘voluntarism’ and social enterprises, as some solution to unemployment, is indicative of your Tory philosophy and mentality. In case you had forgotten, privatisation means lower wages and de-recognition of trade unions. Since Thatcherite privatisation, union membership has plummeted and that with the latest economic crisis (yes the bankers don’t get a mention in this report) it is the poor and working class who bear the brunt of restructuring capitalism (another word you don’t seem acquainted with). Yellow/business unionism is not the way out of this predicament, as the United States has amply demonstrated. As with all PR documents with an academic veneer there is no mention of the less cuddly side of welfare to work, e.g. sanctions, i.e. starving people into work or the fact that workers who have paid national insurance all their life will be hounded the moment they are unemployed into accepting the first cheap labour job on offer. That a trade union, even a right-wing one like the GMB, should endorse and even encourage further privatisation of public services is an act of scabbing both on workers who have been made redundant and one’s own members. These companies don’t create jobs they are parasites on the public purse, pure and simple. They get the state to subsidise low wages coupled with the employer being able to terminate the arrangement at any time. There are no employment rights because ‘the staffing company is the employer of record’ i.e. it is an agency employer. If you have any decency you will resign forthwith and take your place on the Board of Directors of the companies you have given your support to. After all even Judas received his 30 pieces of silver and your entitlement should not be a penny less. If the trade union movement in Britain were to take your advice, it would become as marginalised and weak as US unions. ‘the importance of delivering welfare to work provision coming from the public, private and voluntary sectors’. as justification for introducing Kennedy Scott into existing programmes. In short nearly £3,000 pounds which would have stayed with the DWP will be frittered away on parasites like KS whilst benefits are cut and wages lowered. And of course Kenny is happy for a special plug for KS, for which we will no doubt become an ‘adviser’ in the fullness of time. Included in its case studies is one Maria, a manager from KS ‘it’s possibly the most bizarre company that I’ve worked for… but it’s also an incredibly caring company…’ Very scientific!! ‘Unemployment has been rising and may rise even further if the private sector does not deliver on greater growth and more jobs.’ And being in polite company the Report doesn’t mention how it will deliver these jobs – by cutting public sector jobs and lowering wages and worsening conditions. And of course any attempt at insubordination will be dealt with in the American style, with the complicity of American-style unions like the GMB. Better left unsaid. Well that’s one way of describing savage cuts to the disabled, massive cuts in housing benefits (which affect workers of course), means testing child benefit etc. Far better to describe it neutrally as ‘the biggest change’ as in ‘the accession of Hitler to power meant the biggest change in the situation of Jews in Germany’. No doubt others can improve on this ability to neutralise the political implications of any change. If the GMB membership has any self-respect Paul Kenny will be given his marching orders and told that if he loves the private sector so much they can pay him. ‘As I am sure you are aware, the PCS trade union is currently holding their Congress in Brighton. I attended a meeting there yesterday at which they launched their new booklet ‘Welfare – An Alternative Vision’, an excellent straightforward and accessible booklet which sets out to debunk the myths around benefit claimants and reinforces why we should all be fighting to defend our welfare state. Speakers at the meeting included Mark Serwotka, PCS General Secretary, and John McDonnell MP. They both spoke at length against the introduction of private providers into the welfare service, and were extremely angry about ‘a trade union’ that has come out in support of introducing private providers to work with the DWP, and the ‘welfare to work’ programmes. Eventually someone in the audience shouted out and asked who it was; I was appalled to hear it was the GMB. I have spent this morning researching it. I am incredulous that a trade union is actually recommending and encouraging a Tory Government to increase their free- marketeering! Why on earth are we encouraging the opening up of the public sector to private providers? Do we really believe that introducing a profit motive into the public sector ensures the best possible service?? - Mr Cove ‘influences policy makers internationally in his belief that private-sector efforts must be tapped by government’. (taken from his own website). - The company themselves state “work first was a better strategy to reduce welfare than education and training programs”. - Employers ‘try out’ each candidate for up to four months during which time they have no employee rights, and if they are found not to be suitable they are simply released! Apart from the immense political and moral objections I have to opening up welfare provision to private providers, cheap labour, subsidising employers, the treatment of the workers who will be forced into these schemes, etc etc., then does the GMB not realise schemes such as this actually takes jobs away from other workers and serves as a mechanism for keeping wages down and profits up?? Why would a private company keep employing a unionised workforce who have fought for a decent salary and terms and conditions, when they could simply sack them all and rely on an army of cheap labour which they get extra subsidies for, who they can have on permanent rotation? Of course the GMB should be advocating job creation and getting people into work – but absolutely not in this manner. Why not campaign for a massive house building program, that employs skilled labourers to create quality social housing to solve the massive housing crisis we have in this country? Why not push for creation of jobs in the civil service to tackle tax evasion? Why not push for manufacturing jobs in sustainable technologies? I could go on. I had a meeting with the other shop stewards in my workplace this morning (who are copied into this email), to discuss this matter. We would like to know why on earth our trade union is actually advocating the further exploitation of the working class. We feel that this report is nothing but an opportunity for private providers to profit from exploiting workers, and is an attack on unemployed workers, an attack on workers in jobs, and essentially an attack on trade unionism and it’s core values. I would like your advice as to how we progress this complaint further, and also to ask how we go about writing an emergency motion for this to be discussed at Congress. One other little item about Paul Kenny. When the TUC at its 2010 Conference sought to condemn Israel and the Histadrut for the attack on Gaza and the murder of 1,400 people, including 400+ children, Kenny sought to water the motion down substituting 'notes' for 'condemn'. Not surprisingly this scab is also a Zionist! I've been forced to do workfare and it's utterly soul-destroying. You are actually worse off because of the increased costs of going out to work, and having to work next to someone who is actually being paid for the job causes a lot of anger and resentment. If workfare is meant to somehow be an approximation of having a job it's not very effective. Most of the things that you'd expect from a job are missing; a wage, camaraderie, a future to work towards, a sense of community and social inclusion, a positive self-identity..and justice. Little wonder Unions are dying and I'm a member of this crap.